Copyright © Charles Prokop. Used with permission. WHEN I WAS IN GRAD SCHOOL at Texas Tech in the 1970s, the little golf I managed to squeeze into my schedule was in the late afternoons and evenings. If I had a chance to get away early enough, I’d head out to Meadowbrook, a municipal course in MacKenzie Park in Lubbock. It was always windy when I teed off, but most days the wind would lay down near sunset. If you’ve ever spent time in Lubbock, you know how much you love it when the wind lays down. That was when I enjoyed the course the most. The 18th fairway ran along the bottom of the hill that housed prairie dog town. For the uninitiated, that’s a fenced-in area full of prairie dogs that is kind of like a zoo. 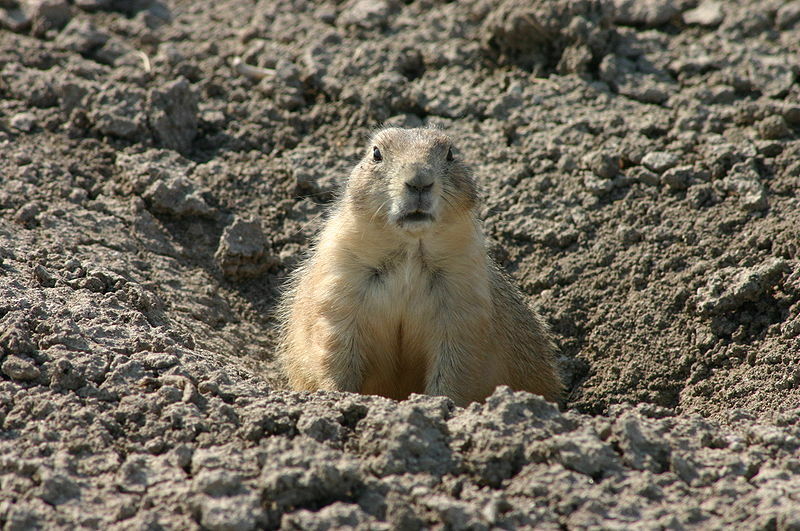 But you can’t really contain prairie dogs, and their burrows would encroach into the fairway. Burrowing owls like to live in prairie dog holes, and playing the 18th at dusk was always interesting. Your ball would very rarely go down a burrow, but after banging a drive into the near dark it was a challenge to search the fairway and hope the ball was still above ground. It was a real sight to stroll the fairway as the owls took off in the evening air. After finishing, I might end up back at the library or the lab, or I might go home and fix dinner. I became the cook in my family long ago, when my wife worked and I was in school, and we’d eat late many evenings. Golf could make it even later. If I couldn’t get away early enough, I’d head to Treasure Island, an 18 -hole par-3 course (actually, it had one very short par 4) with lights for night play. ("Friday Night Lights" wasn’t football for me.) Treasure Island was the site of my only career ace, a feat only witnessed by me. I haven’t been back to Lubbock in a long time, but I hear that a Walmart Supercenter now stands where the course used to be. My unattested ace on a baby golf course has faded completely from the earth. Charles Prokop is a clinical psychologist who writes about golf at fairwaywords. Feherty Question: Johnny Miller or Roger Maltbie?